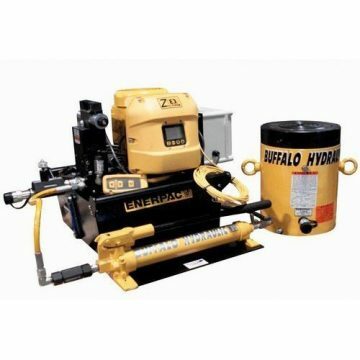 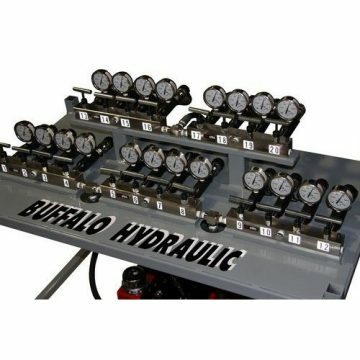 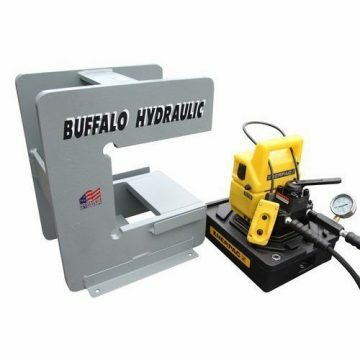 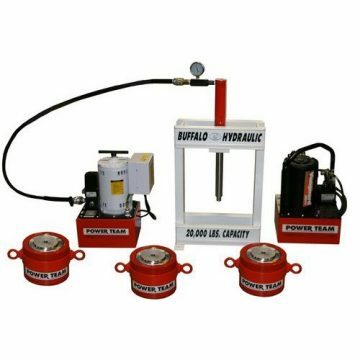 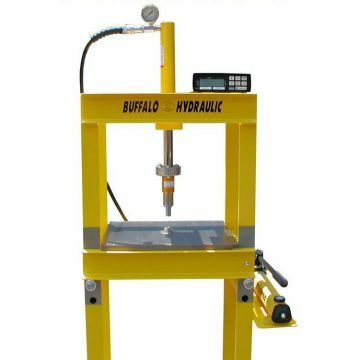 Buffalo Hydraulic BHEHP-70X6.00-SPL Bearing Removal Hydraulic Press. 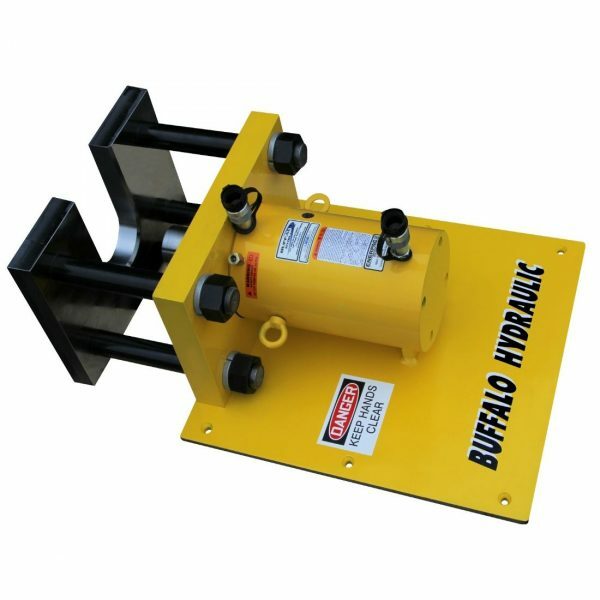 70 Tons of pressing/removal force. 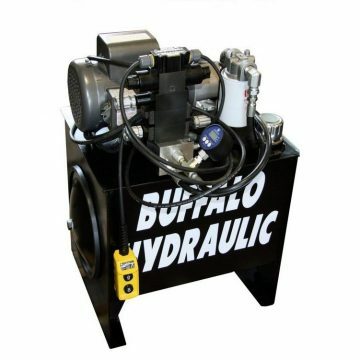 Custom machined U-plate to cradle bearing/shaft assemble for removal. 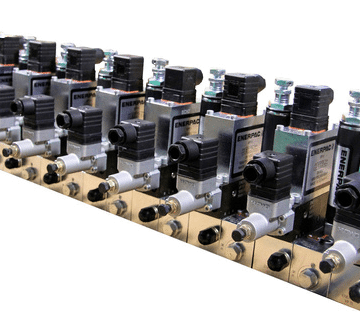 Double acting design providing a smooth ‘Advance’ & ‘Retract’ cycle. 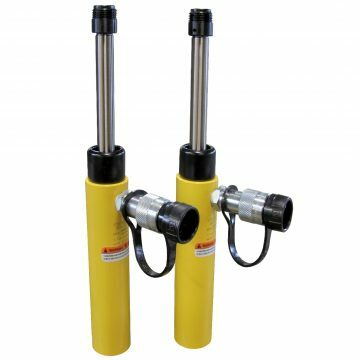 Custom machined cylinder rod end adaptor to contact shaft without damage. 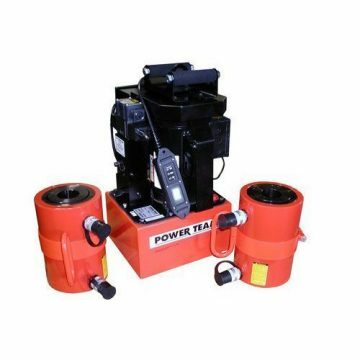 This unit is self contained and provides a compact, safe and efficient method to bearing/shaft removal. 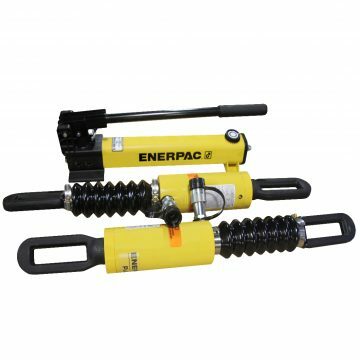 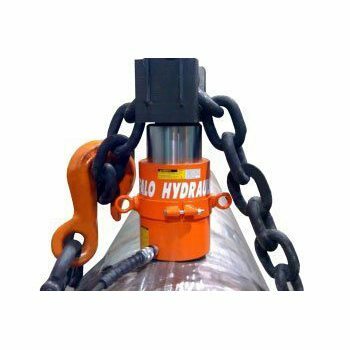 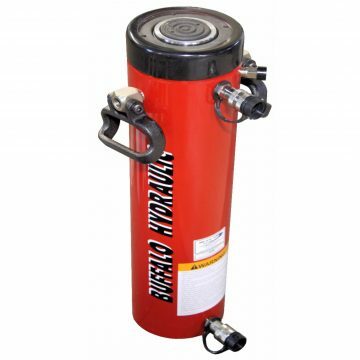 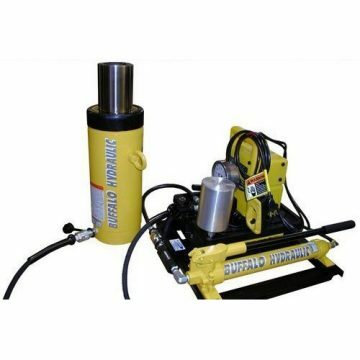 Utilizing the double acting, ‘RR’ series of Enerpac Hydraulic Cylinders and a collar thread mount ensures a most rugged design. Easily adaptable platform to meet your most demanding bearing removal requirement!